Are you interested in green card renewal? We can help you renew a green card that is expiring. 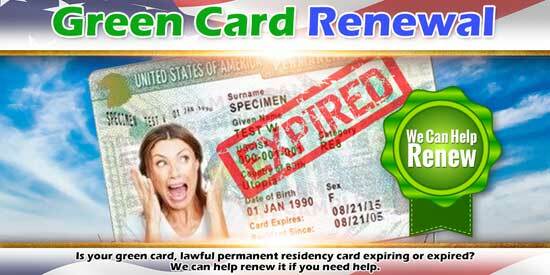 Another service we offer is helping you with replacing a lost green card. We can even help you if you lost your green card a long time ago. This guide to green card renewal is part of our guide to the green card process. If you need information about renewing your green card or green card replacement, please keep reading. If you know that you need help with the green card renewal, please contact us. A lot of people who hold lawful permanent residency do not understand the relationship between their status as lawful permanent residents and the card that shows that status. Process To Get A Green Card to have expiration dates. You can look at yours to see when it expires. That date signifies the date that officials will accept your card as evidence of your status as a green card holder. The case where you see this the most is driver’s licenses.Many states tie the expiration of your driver’s license to the expiration of your green card. But, only the card has expired. Your Us Green Card Process status as a lawful permanent resident has not expired. You remain a green card holder. You don’t have evidence of it.As you can see, not having evidence creates problems like losing your ID, your driver’s license. So you want to renew or replace your resident card on time so you are not without it, not without proof that you are lawful permanent resident.Before discussing the Green Card Process Steps for renewal, we should define terms so it is clear what we are doing in renewing a lawful permanent resident card. The only type of lawful permanent resident card that you can renew is a 10 year card. When you marry someone and receive a green card through marriage, if you were not married for two years at the time, you receive the green card, you get a conditional lawful permanent residency card. This conditional residency card is only good for two years. You do not renew this type of card. Instead you have to remove the conditional basis of your green card. We have a guide on removing the conditions of your green card, including if you divorced. This article is about renewing or replacing the permanent or ten year green cards. You begin the resident alien card renewal process by looking at your green card and figuring out how long you have left before it expires. The USCIS will only let you file an application for green card renewal if the card will expire in six months or less. Green Card Application Process figure it takes some time to put together an application to renew your green card. We thus recommend starting working on the green card renewal process about seven months before the resident card expiring. In this way, you will have a completed application ready to go, for filing with the USCIS, on the six-month anniversary before your card expiring. In thinking about how to renew my green card, you might find this resource from the USCIS helpful. Once you read it over, you are ready to work on US green card renewal. You renew or replace the lawful permanent residency card using USCIS form I-90. You have a choice in renewing this online, e-filing or completing a paper form and sending that to the USCIS. While completing the form online may sound attractive, we do not recommend using this process for green card renewal. As an immigration law firm, we have unfortunately heard horrible stories from clients. The USCIS claiming that it never received an electronic form, and disputing that it deducted the filing fee from the person who filed the I-90’s bank account. If you complete the paper form I-90 and scan or otherwise make a copy of it along with your payment for the filing fee, you have evidence. You can prove you completed an application to renew your resident status. Now combine copying your application with mailing your application with proof of delivery. You have everything to prove that you filed an application and that the Post Office delivered it to the USCIS. After the USCIS accepts your application, you will receive a receipt notice with a receipt number that you can use to track your application online with the USCIS Case Status page. After you have this receipt, the USCIS will schedule you for a biometrics appointment. You will go to your local USCIS office or closest Application Support Center. Next, you have a long wait for the USCIS to issue your replacement lawful permanent residency card. If you timely filed at the six-month mark, you should receive your new lawful permanent residency card, form I-551, in the mail. From the above description, you can see that renewing your lawful permanent residency card is not a complicated. Why would you need the help of an attorney? In a lot of cases, you don’t. This is something that you can handle on your own. But, let’s explore some examples where you might need help. We have helped clients who are not very good at bureaucracy renew their lawful permanent residency cards. These are people who don’t do well with forms and meeting all the requirements, including getting the completed application to the right place. We can work with you to make sure that this gets done right. Other people who benefit from our help are those clients who have run into trouble with the law. They have racked up some criminal convictions that could cause them to lose the lawful permanent residency status. As part of the renewal process for Green card, USCIS will take your fingerprints and use them to run an FBI background check. In these types of circumstances, it can help to get all the documents that relate to your criminal case before filing. 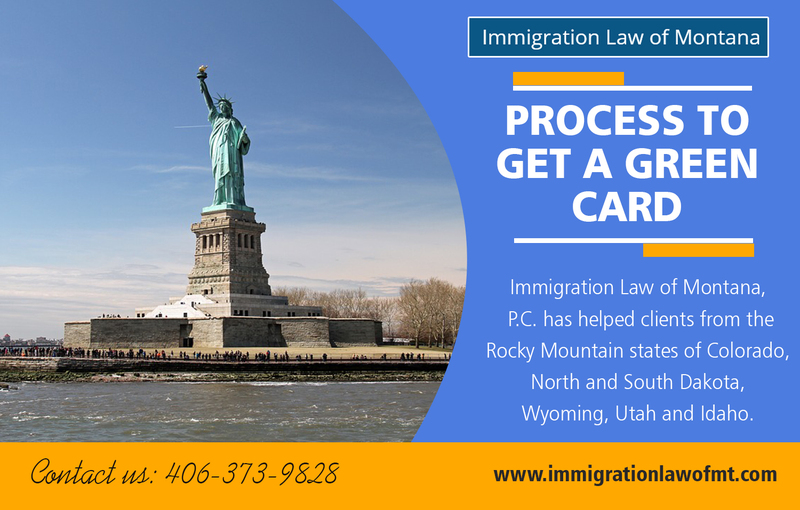 It can also help to understand what options you have if the USCIS doesn’t agree that you are eligible for greencard replacement. If this is your situation, we can help you understand your chances and help you with the process, including fighting for you in immigration court Canada. We sometimes help clients who come to us having lost the lawful permanent residency card a long time ago. They usually have a Social Security card and a driver’s license so can get by without a lawful permanent residency card for a while. A few clients do not remember all the details of how they received the green card in the first place. These types of cases present more of a challenge. When we do not have a lot of details about the lawful permanent resident and don’t have a lawful permanent residency card, we often start by filing a Freedom of Information Act (FOIA) request. We file with USCIS to get a complete copy of the alien file. USCIS sends us a PDF document and we go through it to understand the client’s immigration circumstances. Once we understand the circumstances, we select the best approach to replacing the lost lawful permanent residency card. You can see from this guide to greencard renewal that we understand everything about this process and can help you with whatever you need. If you need a bit of help or if you have no evidence of your status or need someone to replace your long lost green card, we can do it.